Aussenkehr Primary School, located in the heart of the hot, dry Namib Desert is home to 750 students, ages 7-13. The school was originally built with 10 classrooms for 350 students. The village's rapid expansion, due to available work on neighboring grape farms, has caused a subsequent inflation in the student population, yet the number of classrooms remains at 10. As a result of these space limitations, children attend classes in shifts, so that ages 7-10 attend school in the morning and ages 11-13 attend in the afternoon, a schedule known as the "Platoon System". “Research has proven that learners who have not gone through the platoon system in primary school perform better in secondary school,” says Namibian Education Minister Katrina Hanse-Himarwa. However, Aussenkehr's rank as a "village" rather than a "town" means the region is low on the Ministry's already long and unmet priority list for school improvements. Aside from the limited learning space, Aussenkehr Primary School also lacks recreational space, a playground, soccer field, library, and teacher housing facilities. The school struggles to hire qualified teachers, as living accommodations are severely limited. In many cases, multiple teachers share housing, such as a small trailer with no electricity or water. The result is a school operating over capacity with unqualified teachers and no safe space for children to play. When children aren't in class, they typically wander the village streets. Although the school principal, staff, and teachers work long, difficult hours to ensure the best education possible for the children, the lack of resources available to these leaders leaves them stranded with very few options for improvement. 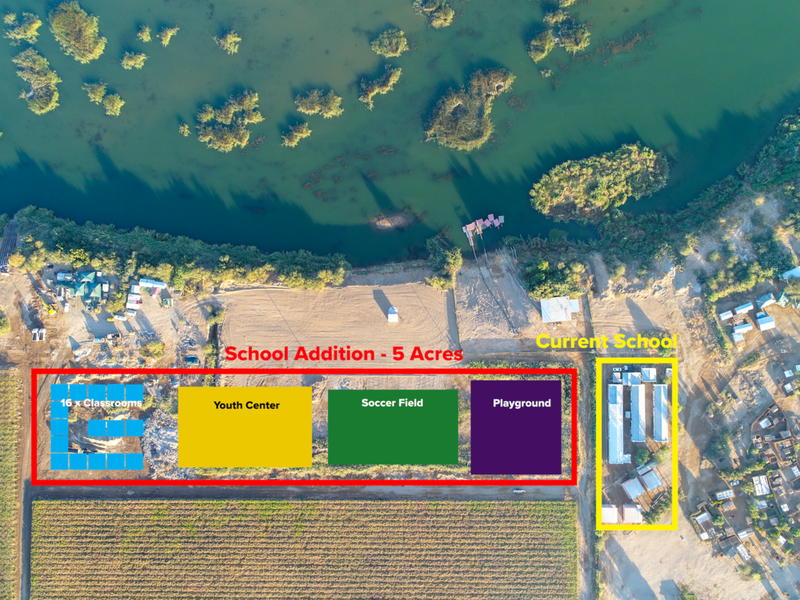 Southern Africa Education Fund has received access to 5 acres (2 hectares) of open space adjacent to the existing school, as a donation from the local Cape Orchard Co. grape farm. Over the next three years, Southern Africa Education Fund plans to build 16 new classrooms, a playground, soccer field, and library, with the ability to accommodate 800 students in total. Independent classrooms, with insulation from the 120 degree heat, cost approximately $15,000 each and will accommodate the national standard class size of 35 students. To get involved, contact Executive Director Paige Claassen at paige@saeducationfund.org, or click here to make a direct contribution.